Technology, like our lives, is more busy and complicated than ever. The purpose of a control system is simplicity: to streamline and automate our activities for the sake of convenience and time. This includes something such as turning four remote controls into a single easy-to-use unit, or having outdoor lights turn on at a set time before sunset, even as that time changes throughout the year. Mills offers a number of reliable, intuitive control platforms to suit our clients’ needs. What does a Smart Home cost? Imagine if you could control your home with the swipe of a finger, or the touch of a button? It’s possible. With carefully integrated wall panels and state-of-the-art touch screens, control of your home is at your fingertips—both at home, and remotely. Let us work with you to build a simple-to-use home control system that automates and streamlines the way you interact with your home. Instead of managing multiple remotes and interfaces for your climate, music, video, lighting, and security, we bring them all into one centralized system. 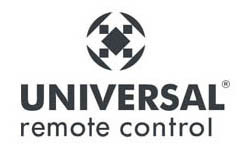 Save time and simplify your life with a custom home automation solution. Shouldn’t your home be custom-tailored to meet the needs of your family? We think so. With our smart home solutions, it’s easy. Set one-touch scenes for different times of the day. For example, easily create an ‘Evening Scene’ to all at once dim the lights, play light background music, arm the security system, and adjust the temperature—all while relaxing in your favorite chair. Save energy by setting your heating and air-conditioning to switch off while the house is empty, and turn back on again when you’re closer to home. And when you’re away from home, use your home automation system to monitor your lights, locks and security cameras, making your home more secure. Today's technology makes security more convenient, accessible and effective than ever. No longer do you need to be physically located at home or at your office to manage who comes in or out. See visitors using your smartphone from anywhere in the world with video doorphone integration. Increase security by giving the impression that someone is always at home, along with features like night vision, alarms, visitor history and more.